Pros and Cons of Buying Links for SEO – What Does Google Think? Almost eighty percent of users click on organic links on Google’s first page. And being there requires that your site has a high Page Rank and is perceived by this giant search engine as an authoritative Web site. For Google, the determining factor is how popular your Web site is on the Internet. In other words, how many high quality sites are “endorsing” your site or “referring” to it by placing a link on their site pointing to yours. There are many ways to improve your link popularity and therefore your Google Page Rank (PR), but some of the techniques are more controversial than others. The “organic” way is to provide top-notch content and encourage other sites to link to yours. Although much of Google’s formula for determining Page Rank (or a Web site’s popularity) is secret, they have revealed that the more sites link to your site, and the better Page Rank (PR) these sites have, the more link juice your site will receive. However, link building the “organic” way can be a slow process and isn’t always guaranteed to work. 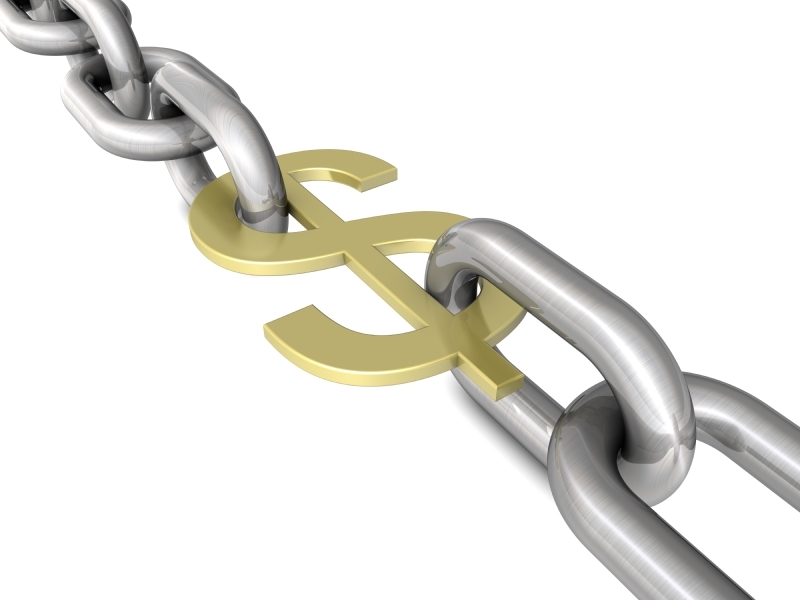 So, many Web site owners are tempted to use paid links – simply paying 3rd parties to place a link on their sites. The process of buying links for the sole purpose of improving PR is frowned upon by Google and other search engines since they are trying to provide their users with organic search results. It is important to note that buying links from 3rd party Web sites shouldn’t be confused with paid advertising or Sponsored Links. With paid advertising, search engines have provided a platform where you can pay them directly to place your link on their search results pages – clearly defined as “Sponsored Links.” Usually, you won’t be charged unless someone clicks on the link to your site – thus Pay Per Click is another name for these advertising methods. Many Web sites do buy links and, done correctly, it can have a positive effect on your Web site’s Page Rank as well as its ranking on Google search results. But, before you start spending your marketing dollars, you should start with a well-organized SEO strategy – which relies on a variety of “white-hat” (and sometimes not-so-much white hat) Google SEO techniques. If you still think you need a boost from paid links, keep in mind the strategies and cautions below. If you’re link building by buying links make sure the site you are paying for has a high Google Page Rank (PR 5 or above). Remember that your Page Rank increases because of the quality of your links, not just the quantity. Google gives a higher ranking to sites it views as having more organic back-links and offering legitimate content. You cannot be penalized by placing a link on a link-farm or a site that has been banned by Google, mainly because your competition could have done that in your place. However, that’s just a waste of your time, since the link coming from a link-farm wouldn’t have any value for your site. But this works both ways. Links from reputable sites will increase your site’s PR. Multiply that by an entire network of second-party sites and you’re on the fast-track to success. If you pay someone to provide a link, you want to make sure the link either looks like an organic part of the Web page (like an endorsement of your services) or like an advertisement. If the purpose of a text link is to funnel traffic to your site, then that’s a perfectly acceptable link-building technique. Note that you’re NOT having the link there for improving your PR, although that’s a bi-product (and could well be your main objective). As far as Google is concerned, you have not crossed any lines. One option is to pay a site to place content with embedded text links leading back to your site. Be careful which words you use as text links. If you use the same text link words over and over on different Web sites, Google’s algorithm may think that your Web site is spamming. Be sure to vary the keywords you use as text links. Directories exist for a wide variety of topics and will provide a link to your Web site for free or sometimes for a fee. When I try to explain the pitfalls of posting links to sites, I remind clients of all the spam and viruses floating about the Web. Now apply that concept to link building. Sometimes it’s not so easy to recognize the sheep from the wolves. In these situations, it’s best to consult with SEO experts before posting links to bad Web sites. Millionairium has a lot of experience with guiding its clients through these treacherous waters and has helped many sites get to the top of Google in 2 to 6 months. Safe directories have competitive Page Rank and have been vetted by Google’s AdSense or a similar service. Google doesn’t consider such sites to be link farms since they are run by human editors who evaluate each submitted Web site for relevance and quality –and there is a chance you will be rejected. Some of these sites operate in a bit of a gray area ethically, but usually Google allows them. However, many paid sites aren’t legitimate directories, so be careful. Only a reputable directory can increase your Page Rank and Web traffic. Paid links offer another downside: they don’t last as long as organic connections. If you take the time to set up a network of organic links, those links will remain in place – directing traffic to you and raising your Page Rank – for a while. Paid links disappear if you don’t keep paying for them. Whether or not you decide to buy links, you should also consider how you can get links for free. First, offer great content that people want – and keep it fresh. You can also write articles for another Web site and ask for a link from the byline. Or you can offer good blog content or send out press releases. So, use paid links if you wish, but be extra cautious when you do so. We’ve seen Google penalize sites for specific keywords when spam techniques were used. Pay only for reputable sites and make sure your text links vary from site to site. Then you’re off to the road of Google SEO success. Hey, you\’re the goto expert. Thanks for hanging out here.